We all need loads of fruits and vegetables. Some we love for flavor and some we eat simply because they’re good for us. A closer look into real health qualities of fresh produce reveals that all fruits and vegetables are not created equal, at least in terms of growing conditions, quality controls, and the use of pesticides. Pesticides assist in maximizing farmers’ yields but can have devastating effects on human health. Some fruits and vegetables are more naturally suited to growing with fewer pesticides, while others receive heavy doses just to make the cash crop viable. 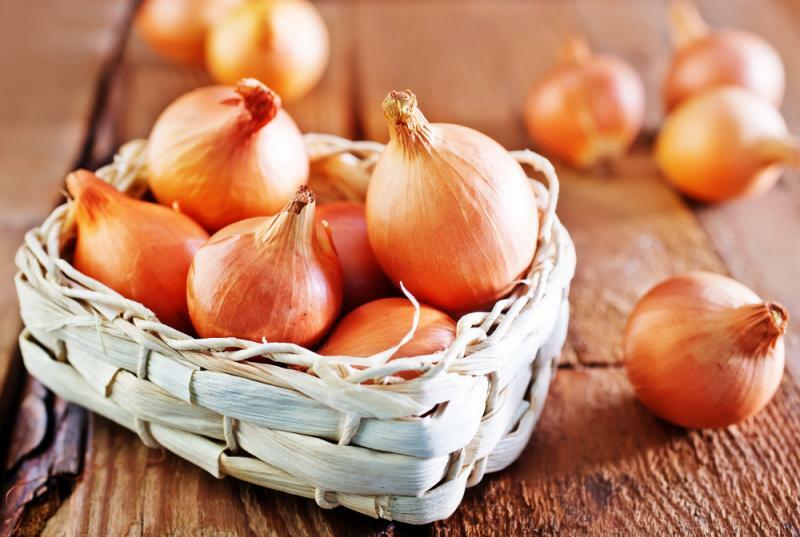 While onions are commonly consumed by humans, they can be deadly for dogs, cats, guinea pigs, monkeys and other animals. The toxicity is caused by the sulfoxides present in raw and cooked onions, which many animals are unable to digest and are unpalatable to insects. The sulfoxides and a thick layered skin protects the plant from penetrating pests and pesticides, making them among the safest items in your non-organic produce basket.